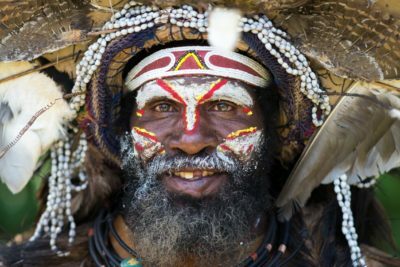 The Goroka Classic Show tour is an unescorted program, taking guests to various cultural highlights of Papua New Guinea, before ending in Goroka for the yearly cultural show. 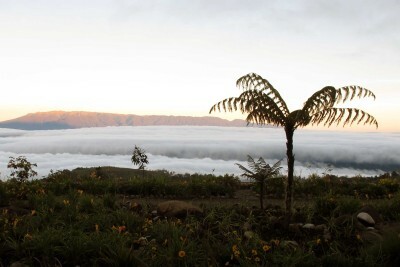 The tour begins in Mount Hagen in the upper Wahgi Valley, where guests spend a night at the resplendent Rondon Ridge in a valley which was only discovered by the outside world 70 years ago. The journey then takes you to Karawari, where guests board the Sepik Spirit – the ultimate floating lodge allowing all the comforts of civilisation on the Karawari River. Exploring the waterways of the Sepik River and its tributaries will unearth many interesting local villages and wonderful scenery. After three nights on board, transfer by river boat to Karawari Lodge, also in the Sepik Region. 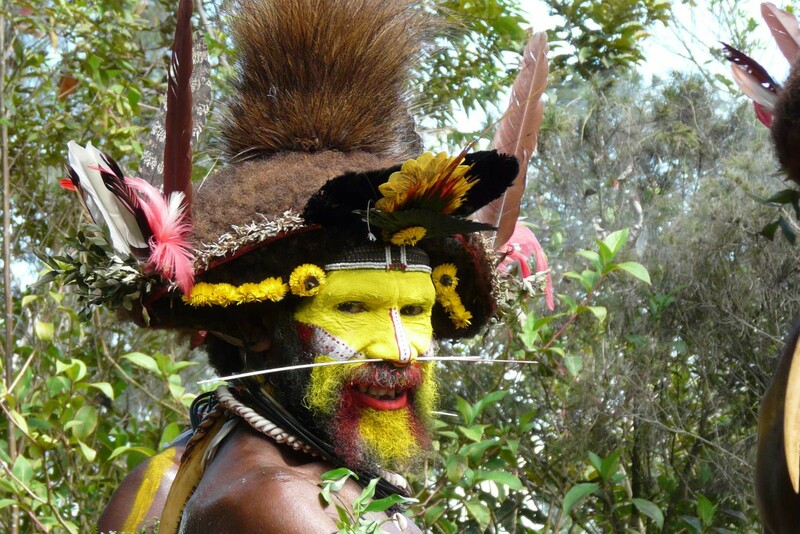 After a night at the lodge, fly to Tari Valley – the home of the flambouyant Huli, a colourful and proud people who still live largely as their ancestors did. Ambua Lodge is located high on the slopes of the Tari Valley, commanding magnificent views of the below valley and the surrounding peaks. 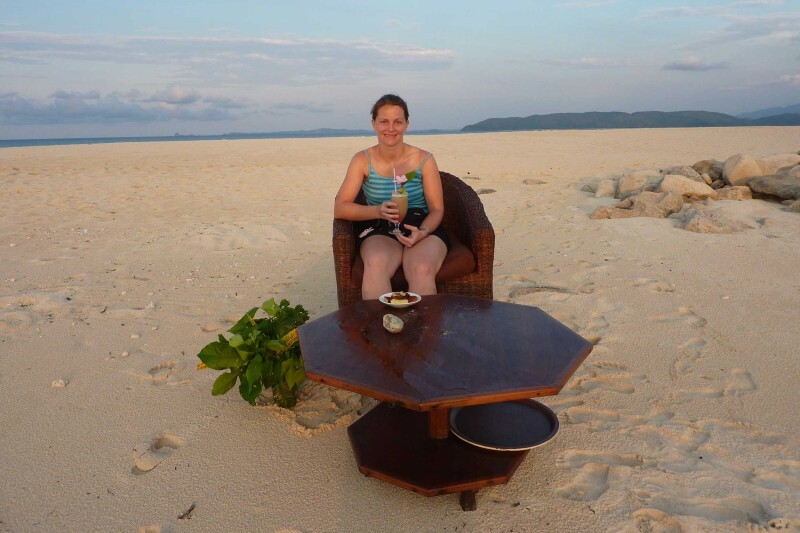 Learn about the fascinating ecology, culture and history of this remote corner of the world. 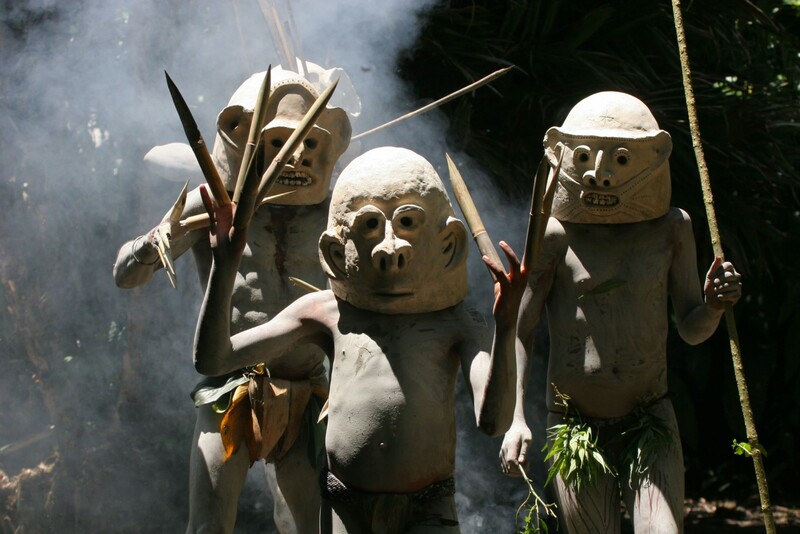 Next, head to Goroka to attend the famous two day Goroka Cultural Show where you will encounter the legendary Asaro mud men. Finally, return to Port Moresby to catch your outgoing international flight. NB: This is an unescorted group, which means you will have a different local guide in each location. Price from £9859 per adult. £9,859 Per Person Based on sharing double / twin rooms. Single Supplement £750. Please note that the single supplement is for a Single room EXCEPT at the Bird of Paradise Hotel and on board the Sepik Spirit, which are on twin share basis. Arrive in Port Moresby, where you will be met by Trans Niugini Tours staff and transferred to your Air Nuigini flight to Mount Hagen. Mount Hagen Town is in the upper Wahgi Valley - a valley with some of the oldest evidence of agriculture in the world. 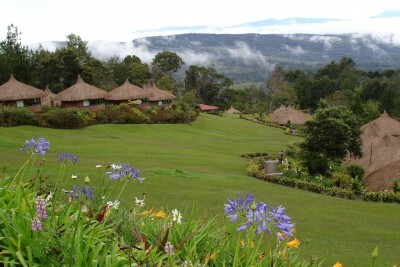 Rondon Ridge is perched high on Mount Kuta, commanding extraordinary views of the Wahgi Valley. Over 200 species of birds have been spotted in the forest surrounding the lodge, including 13 species of birds of paradise. Staying at Rondon Ridge. Includes Dinner. Transfer from Rondon Ridge to Kagamuga Airport for charter flight from Mount Hagen to Karawari. The swirling brown waters of the Karawari are surrounded by jungle-clad banks where sago, betel nut, limbum and other palms compete with breadfruit trees and wild yams for a safe foothold. 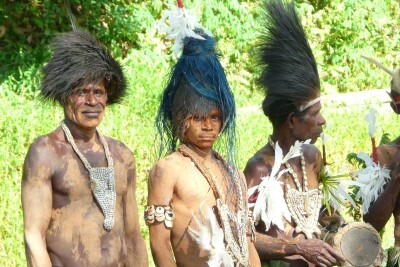 Transfer from Karawari airport to the Sepik Spirit. 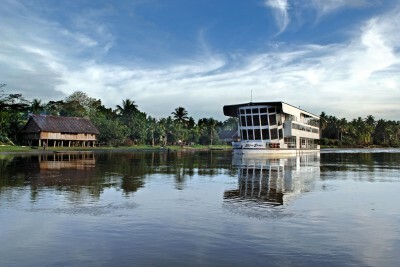 This stationary floating lodge has nine spacious en-suite guestrooms and is uniquely designed in the style of the local 'haus tambaran' or spirit house. Enjoy lunch on board, before beginning your voyage of discovery to a local village. 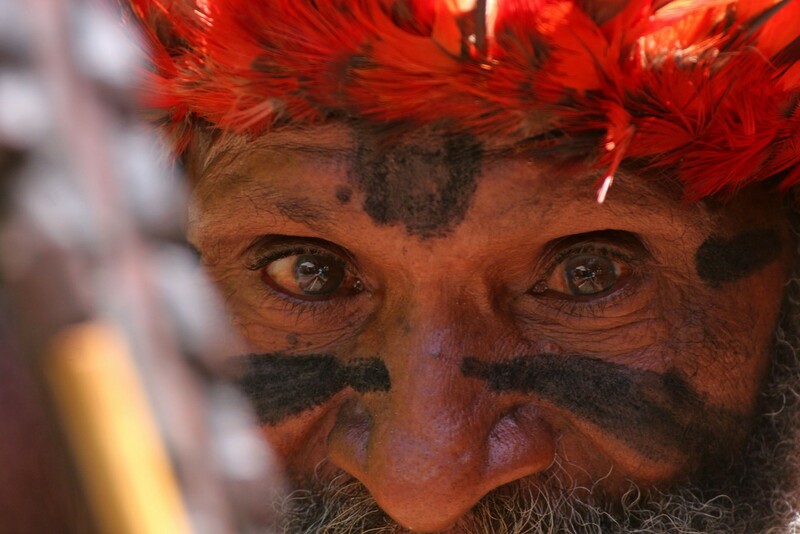 Enjoy a full day touring the area from the Sepik Spirit, with picnic lunch provided. Visit local villages where the people are prolific an skilled carvers. From here you can purchase many fascinating items such as elaborately carved masks, hooks, ancestral figures, hand drums, baskets, bilums and gourds. Yous will also visit the remote Black Water Lakes. Another day of exploration in the area, as detailed in day five. In the evening, the Sepik Spirit will cruise back to Karawari in preparation for early morning departure the following day. After breakfast, transfer to Karawari Lodge. Poised on a ridge overlooking the river and jungle-clad Sepik Basin, this lodge draws you into an entirely unique world. What is most fascinating here is how the people live at one with the land, and how it moulds their lives. They still live as they have for generations, with rituals, sing-sings, storytelling, food gathering and preparation all largely unchanged. 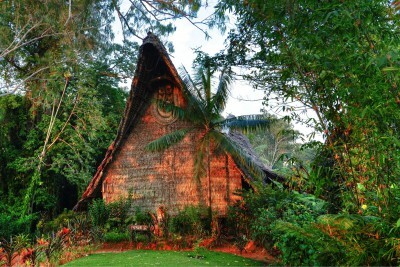 The Lodge has a well-planned cultural programme, with daily river boat visits to local villages in place. These allow guests to observe village life and customs, participate in typical daily activities and enjoy re-enactments of traditional ceremonies. You wills also visit remote jungle waterways, where there are huge lichen and vine-festooned trees, an abundance of brilliant flame flowers, and many beautiful orchids. 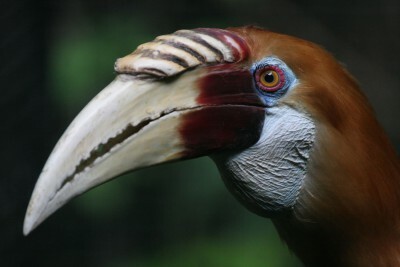 With a myriad of birds providing the raucous jungle music, enjoy observing man and the environment as it has been for thousands of years. In the morning, transfer to Karawari Airstrip for charter flight to Ambua. This flight takes you over the Central Ranges, some of the most rugged and impressive landscapes in the world. The country between Ambua and the Sepik region is an amazing array of jagged limestone rising and falling at seemingly impossible angles. Upon landing transfer to Ambua Lodge. Located at 7,000 ft in the Southern Highlands, the lodge is an inspired mixture of local architecture, modest luxury and spectacular views. 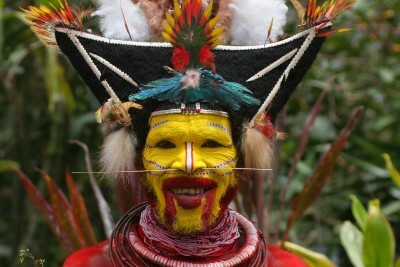 This area is home to the Huli clan, famed for their elaborate human hair wigs adorned with colourful flowers. 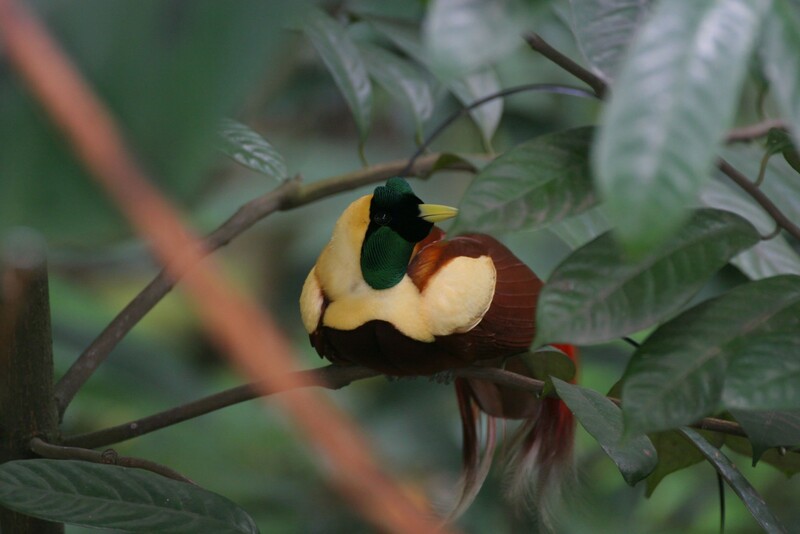 Take an afternoon guided nature walk through the nearby alpine forest in search of the exotic bird of paradise. Enjoy another day of exploration in this area. Morning pick up from the lodge and transfer to airstrip. 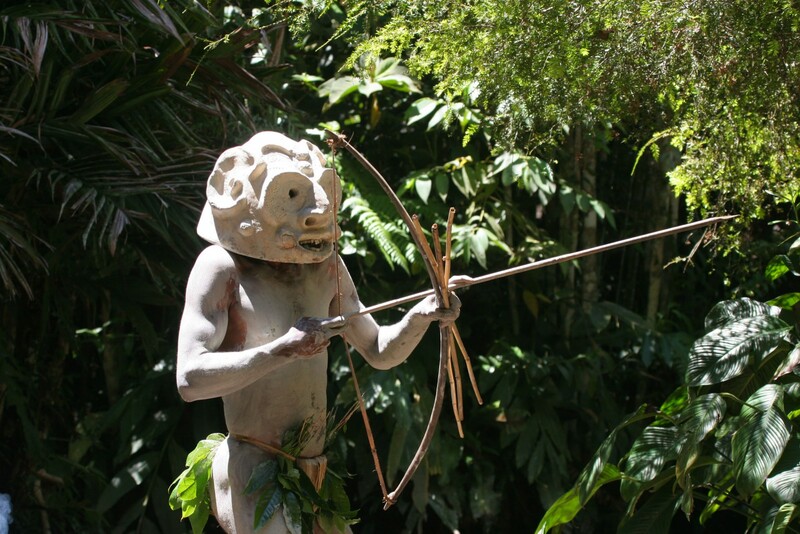 Take charter flight to Goroka, home of the famous and intriguing Asaro mudmen. 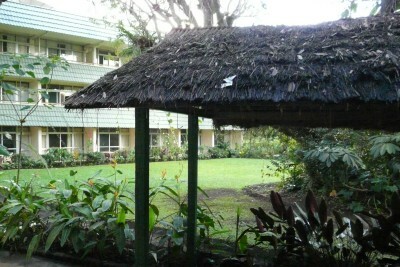 This will be your base for the duration of the 2019 Goroka Cultural Show. Staying at Bird of Paradise. Includes All Meals. Pick up from the lodge and transfer to the show ground. 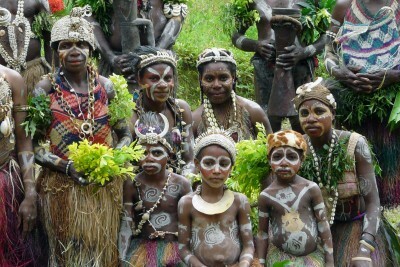 Spend the day at Goroka show, a marvellous opportunity to gain an overview of PNG cultural diversity. Amongst the performers are the legendary mud men of Asaro. Later transfer back to the hotel. Pick up from the lodge and transfer to the show ground. 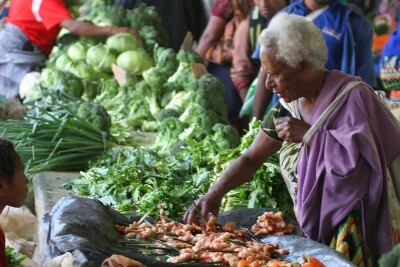 Spend another day at Goroka show. Morning pick up from the lodge and transfer to the airport. 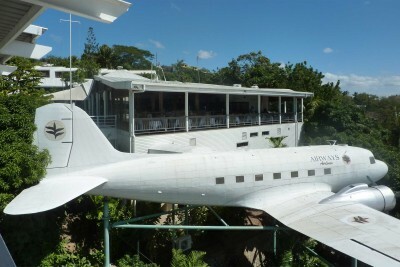 Catch flight to Port Moresby. Met on arrival and transfer to the hotel. In the afternoon enjoy a city tour which includes visits to the National Parliament (outside view only), National Museum and National Botanic Gardens in the spacious grounds of the University of Papua New Guinea. Time permitting, drive through undulating bushland towards the coastline. You will pass by Hanuabada village (meaning 'big village'), one of the largest villages in Port Moresby before its destruction by fire during World War II. Staying at Airways Hotel. Includes All Meals.